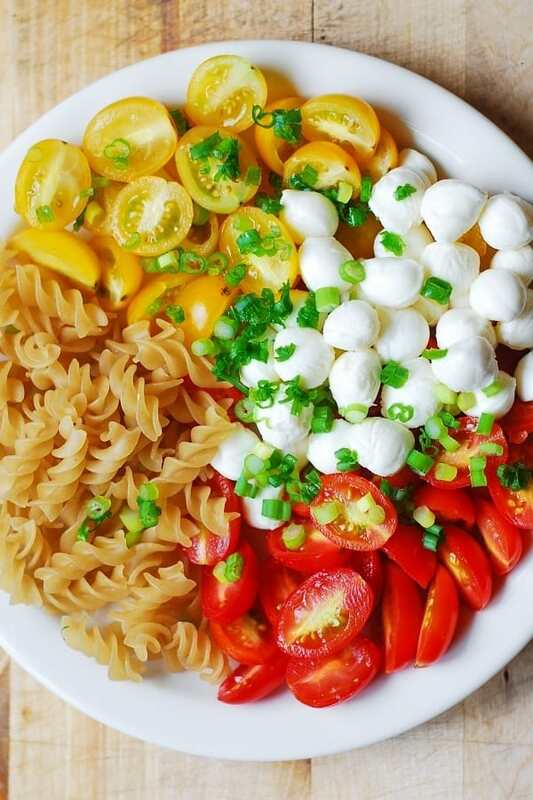 Pasta Salad with Roasted Tomatoes and Mozzarella – healthy, light, vegetarian side dish! Perfect for Summer cookouts, picnics! 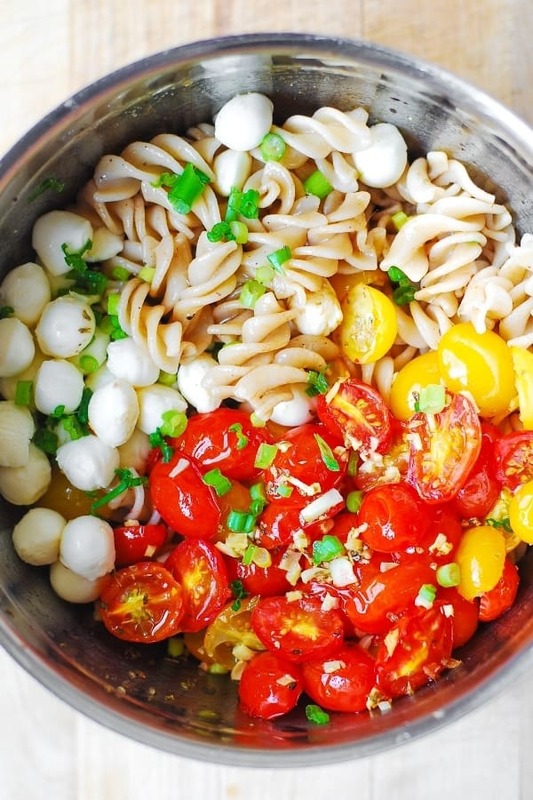 Gluten free friendly recipe (if you use gluten free brown rice pasta)! I made this recipe for Better Homes and Gardens – Delish Dish Blog. 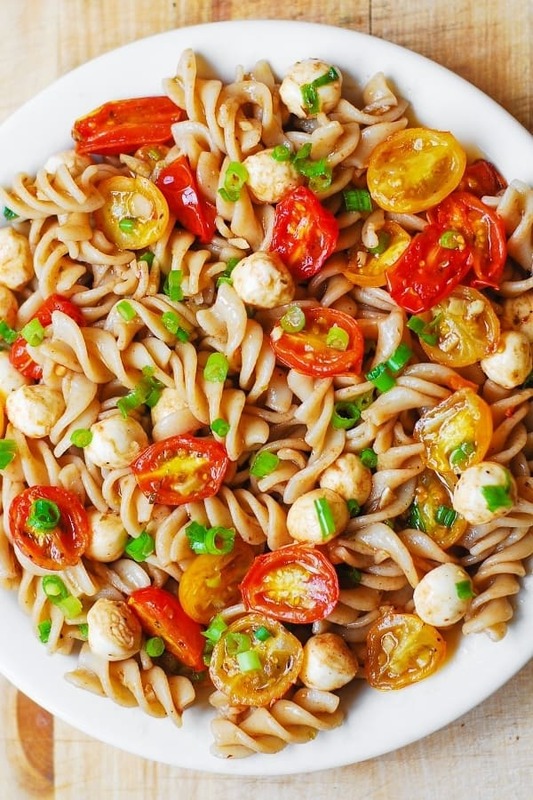 I love that this recipe uses fresh ingredients, such as fresh cherry (or grape) tomatoes and fresh Mozzarella balls, but what makes this salad extra special is that the tomatoes are oven-roasted with olive oil, garlic, salt, and oregano until they are softened, and infused with a lot of flavor! 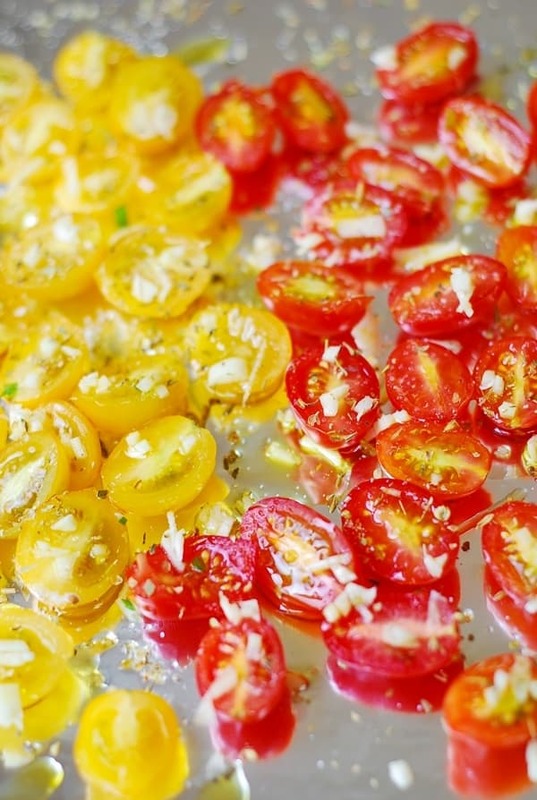 You will want to eat all those tomatoes before even adding them to the salad!